J Group Robotics has emerged itself as a market leader in creating 3D printers of optimum quality. It proved itself to be cost effective, cost saving and tool to quickly designs. 3D printers allowed efficient use of resources with no compromise in the quality. Various industries such as Automobiles, Defense, Engineering equipment, Medical, Architecture, Consumer products, Designing and Manufacturing Industries are going to get hugely benefitted from its 3D printer. Even industries such as Jewelry Designs, Cell Phone covers, Toys, and Trophy manufacturing companies can make use of the 3D printer to test prototypes, modeling technique, manufacture low volume production and also benefit in reducing the cost of mould making. Vishal Jariwala explains how 3D printing of lean manufacturing tools like jigs & fixtures can significantly enhance productivity. Vishal Jariwala explains the innovation that 3D printing can bring in the education sector. 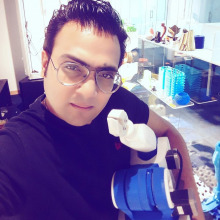 Vishal Jariwala explains 3D printing along with thoughts on how it could transform industries and the way we do business in the future. We are quickly looking to Generate Leads Digitally for our FDM and DLP 3D Printers. Interested companies please contact on +918369940932 for detailed discussion. We are looking to Generate Leads Digitally for our FDM and DLP 3D Printers. Please contact on +918369940932 for detailed discussion.